No matter how you spell—“Bungee” in Australia; “Bungy” in New Zealand—it’s the thrill of a lifetime! To freefall hundreds of feet from a cliffside or bridge is to tap into one of your most primal fears and stare it right in the eye. Go bungee jumping and face gravity! Our first-class bungee adventures in Australia and New Zealand offer safe bungy equipment, a well-prepared staff (ready to help you overcome your fears!) and second-to-none views. Get up there and take the plunge! 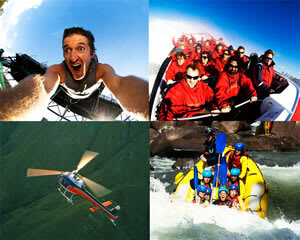 Queenstown is jam-packed with big thrills. 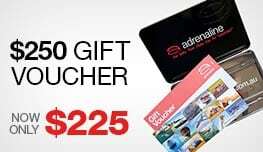 But of all the hair-raising jaunts you’ll find at Australia’s adventure capital, nothing quite offers the rush of a bungee jump. Queenstown bungee jumping isn’t just any old plunge. Here, you’ll freefall for 134 meters (that’s more than 400 feet)! This bungee jump is often cited as one of the scariest in the world and is certainly the biggest bungee jump in Australia! Moreover, this bungee adventure is paired with a slew of other big activities such as a helicopter flight, a jet boat ride and rafting. 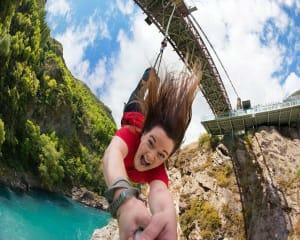 Bungee jump Queenstown and you’ll be treated to the wildest day imaginable! For the best value and beautiful views, travel to the birthplace of bungy and take a 43-meter dive. 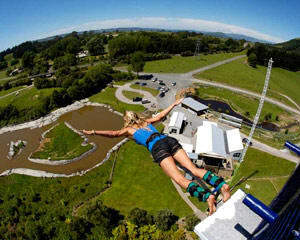 New Zealand’s Rotorua scenery, featuring big skies and strikingly green valleys, is a stunning bungy jump location that caters to everyone from 10-year-olds to 100-year-olds! And, for newcomers who show up with a little hesitation, tandem bungee jumps are available along with solo plunges. Need some extra moral support and motivation? No problem! An experienced bungee pro will strap themselves to you to help you face your fears! Prejump: Right before you jump, you’ll probably be thinking about the thin cord keeping you from crashing to the ground. You’ve put a lot of faith in this little bungee. You’ll probably start second-guessing yourself. Too bad; there’s no turning back now! Your heart beats, your hair stands on end, you question your own sanity. And then, there’s nothing left to do but stretch your arms out and jump. Freefall: The second you let go, all anxiety disappears. 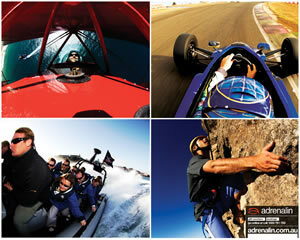 Adrenaline kicks in and an unparalleled sensation of freedom washes over you. Because you fall in a diving position, you fall fast. Real fast. And then, the moment you’re mere meters from the ground, you reach maximum acceleration and snap back up at even greater speeds! Post Jump: It’s all over in just a few second—the jump, that is. The bungee jumping sensation, on the other hand, keeps a hold on you for days. Bungee jumping will change the way you see yourself! 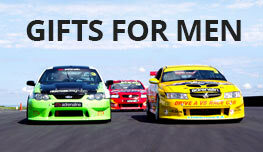 Book this life-changing experience today!